The word of the week is “slow”. Fewer than 46,000 ballots have been cast in the first week of early voting on Harris County’s $2.5 billion flood bond referendum, but county officials on Monday said they expect many more voters leading up to the Aug. 25 anniversary of Hurricane Harvey’s landfall. According to the county clerk’s office, 2,692 voters went to the polls in person Monday. 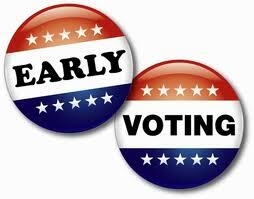 Combined with 575 mail-in ballots returned Monday, the first six days of early voting have seen a total of 45,517 ballots. “Bond elections don’t usually get voters excited, but there are plenty of days of early voting,” Harris County Clerk Stan Stanart said. Last week, Stanart estimated that 230,000 to 300,000 voters would cast ballots on the bond referendum. By Monday, he had dropped his projection to 150,000 to 200,000 total votes by the end of the election, even as he expects turnout to increase closer to the one-year anniversary of Harvey, when media coverage and advertisements in support of the flood bond will increase publicity. Rice University political scientist Robert Stein said he is skeptical the number of voters will increase come Aug. 25, but he added that low turnout does not necessarily signal a lack of support for the bond plan. He predicted the bond would pass with at least 60 percent of the votes cast. A University of Houston poll last week put support for the bond around 62 percent. Stein said low voter turnout is a “free rider” issue for residents who assume their vote does not matter. See here for more on that poll. I tend to agree with Professor Stein on both counts here. I suspect that the bulk of the ballots will be cast early, and I don’t see much in the way of opposition, at least not at a level to push people to the polls. I suspect Stanart’s initial optimism was based on the number of mail ballots sent out. There were about 68K of them sent out for this election; by comparison, there were about 89K mail ballots sent out for the November 2014 election, of which about 71K were returned. More people vote by mail these days, and an election like this is going to be especially heavy with older voters, but that’s still a significant enough number to suggest a level of turnout that’s a decent fraction of a regular November off-year election. It’s just that the in person EV totals have not been consistent with that. In any event, here are the EV toitals after one full week. If there’s an uptick coming, it has not yet arrived. After seven days, 16,277 people have voted in person and 34,388 by mail, for 54,665 in total. I do think we will see an upward trend in the last few days, as we usually do, but for now we are just toddling along. And as Campos notes, the original idea was for this to have modest-at-best turnout, so I suppose we are more or less where we should have expected to be. Have you voted yet? I figure I will on Friday. I’m a habitual voter (and I’m sure I’ll get to it), and I can’t get that excited about Ed Emmett’s “look at me, I’m doing something” election that really could have waited to be on the November ballot. The cynical read is that he wants something to campaign on in November (basically spending taxpayer money for the election to make it happen), since he hasn’t been in potential electoral trouble in awhile. Thank you Souperman, Ed Emmett has campaigned as a nice guy and I am sure that he is, but he is do nothing excuse for a politician.